Ahh, the harsh cold, the biting wind and the spiteful acknowledgement that winter is upon us. Of course, not everyone experiences this winter. And for those of you who don't, understand us northerner envy your 40° lows (looking at you, Florida). 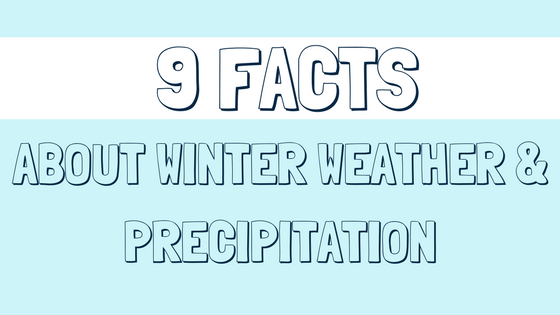 But whether you push the powder in a snowy state or soak up the rays in a sunny one, here are some interesting facts about winter weather and precipitation.